Ambrish is software engineer working with Indian Railway Catering and Tourism Corporation Ltd. (IRCTC) New Delhi, as Senior Supervisor (IT) for the last 3.5 years. He oversees the technical and operational handling of chargeback cases and has a wide experience in web design and development using Java, PHP, and MySQL. Ambrish joined iCharity team as a volunteer to assist in web based marketing and SEO of iCharity website. 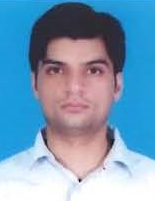 Ambrish is a B.Tech Computer Science & Engineering graduate from PDPM Indian Institute of Information Technology, Design & Manufacturing, Jabalpur. Apart from contributing his skills as a volunteer, Ambrish likes to listen to music, watch movies, human behavior analysis, group discussions and travelling. Ashish works with ReNew Power, Gurgaon as an Asst. Manager in the Corporate Communications & CSR team. Ashish joined iCharity team as a volunteer to assist in web based marketing and SEO of iCharity website. 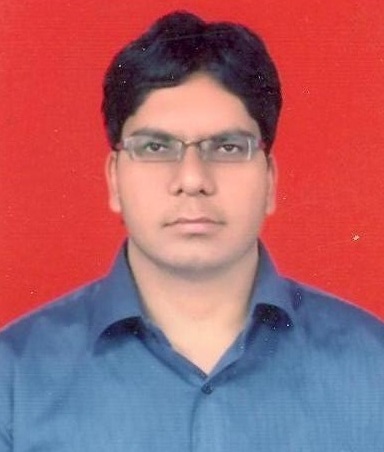 Ashish is a B.Tech in Information Technology from AKGEC, Ghaziabad and an MBA in HR from MDI, Gurgaon. In his spare time, Ashish likes to play and watch football, watch science fiction and read about the Universe. Sumit, a PG (Mathematics) and an MBA (Marketing) from Allahabad University, works with Idea Cellular Ltd as a Business Development Manager. He is also pursuing PG in Advertising and PR from Mudra Institute of Management, Ahmedabad and a Diploma in Creative Writing in English from IGNOU. In his spare time, Sumit likes to read books, learn new skills, update himself about new trends in society and business and dream to bring some positive changes in society by power of communication i.e Writing, Audio and Visual Media. As a volunteer at iCharity, Sumit looks forward to learn a lot from social change makers. Sumit is happy to dedicate time and efforts as volunteer because he believes that he can not only contribute his skills towards a social cause but also learn new skills by getting invovled in a completely different area. And at a personal level, by contributing his skills to a social cause, he wants to take himself closer to self-satisfaction. Are you also passionate about making a difference? We welcome professionals who wish to contribute to our aim. At iCharity, we have a number of volunteering opportunities with various time commitment options. Please write to us at info@icharity.in with a few lines on your background as well as any areas you think you can help. We will get back to you with a best fit volunteering opportunity with iCharity.